Are you visiting the dunes of Schoorl for an off the beaten path day trip from Amsterdam or Alkmaar? Here you will find out what you can do in Schoorl, where to stay, where to eat and how to spend a day in Schoorl, The Netherlands. Visiting the nature reserve of the dunes of Schoorl, The Netherlands, is a perfect day trip from Alkmaar. 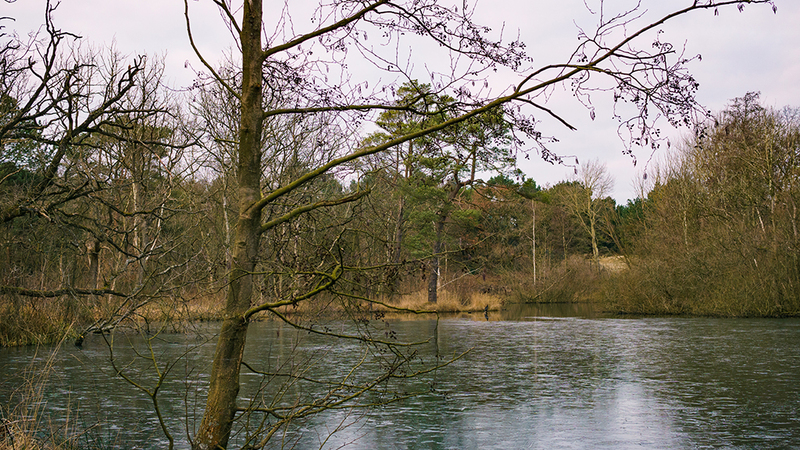 Here you will find all the information you need to spend a day in Schoorl, The Netherlands. The nature reserve of the dunes of Schoorl in Noord-Holland is like no other place in The Netherlands. This reserve does not only have the highest dunes of The Netherlands (55,4 meter), but it also has the broadest dune area (5 km) of The Netherlands. If you are looking for a nature reserve to clear your mind as a day trip from Amsterdam or Alkmaar, then visiting the dunes of Schoorl is perfect for you. If you want to have an active day trip from Amsterdam, you can always go for a run on the many routes or take a mountain bike and cycle your heart out. I’ve been coming to Schoorl for as long as I remember. We went here on school trips, family trips and with friends. It doesn’t matter what season you are visiting the nature reserve of the Schoorlse duinen, it is never the same. That makes visiting the dunes of Schoorl a perfect day trip from Amsterdam and Alkmaar. The nature and the colours in the reserve change every month, so you will never be bored. If you have the time I wouldn’t go to the dunes of Schoorl as a day trip from Amsterdam or Alkmaar, but I would spend the night in the area. Schoorl, The Netherlands has been written about since 1094, when it was known as Scoronlo. The name was referring to a forest on a dune nearby a swampy shoreline. As of today, Schoorl is a town with around 4.500 inhabitants and mostly known for the nature reserve of the Schoorl dunes. When you walk into the town now, you will see the forest and dunes straight away. 150 years ago, most of what you’re currently seeing was nothing more than a sandy mass. 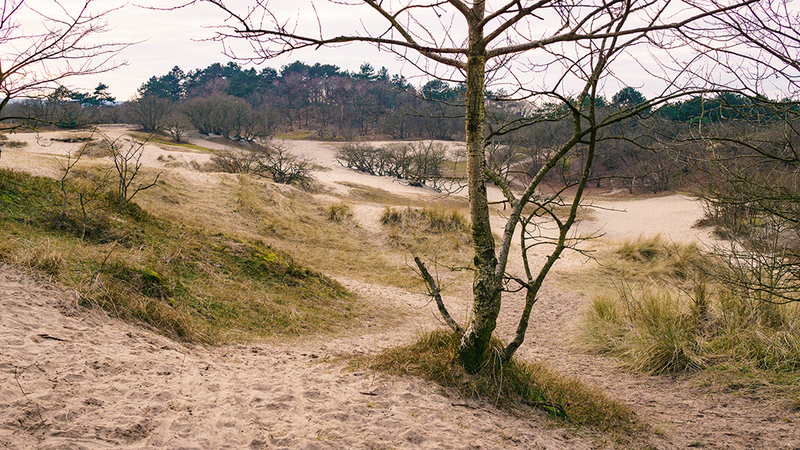 The dunes were actually threatening the town of Schoorl. With every small gust of wind, the town would get another layer of sand. As of now, more than 100.000 pine trees keep the sand together of the dunes of Schoorl. 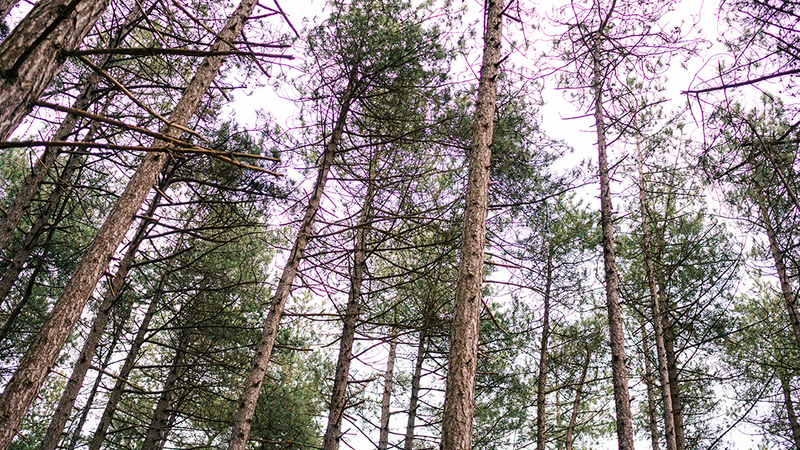 However, the pine trees do not grow naturally in The Netherlands. Perennial trees do. So, they will make their return. Nowadays, the original ecosystem will be making its return as a part of the pine trees are cut in order to plant perennial trees. You will see that some areas are being cleared already, but that doesn’t mean you shouldn’t visit the Schoorl dunes as this all goes in several phases. And, the area is big enough to see a lot of nature as it is 1875 ha. That equals around 3750 football fields. From Schoorl, Noord-Holland you can also visit Schoorl aan Zee. This is where the dunes of Schoorl collide with the North Sea (Noord zee). You can only visit this area by bike or on foot. During every season you will find German and Dutch tourists visiting Schoorl and the dunes, however, it is never overcrowded. The beach area at Schoorl aan Zee is never too crowded either. As Schoorl is a small town, you simply won’t get too many tourists because they cannot be housed and there is not enough parking space for massive crowds. 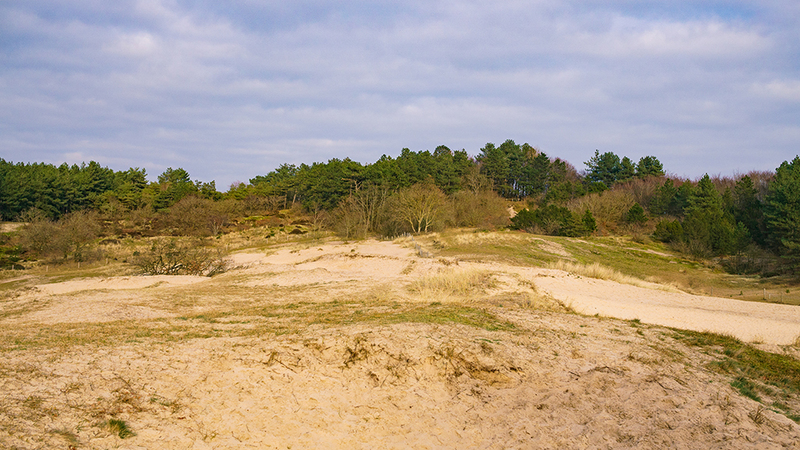 The klimduin is one of the highest dunes of The Netherlands and is located in the middle of the town of Schoorl. It ends on a square in the town where you will see restaurants placed around the area. The klimduin is 51 meters high and only 110 meters long. Every year there is a KlimDuinRun where crazy people run up the dune as fast as possible. And trust me, it’s harder than it looks. From the klimduin of Schoorl, you can walk into the nature reserve, but I prefer to walk the way down instead of up. So, I say, go to the visitors’ centre of the dunes of Schoorl first. This is the information centre of the dunes of Schoorl where you can buy a map of the area of the Schoorlse duinen. You can also ask for more information on the area here and ask all the questions you’d like to know. This centre is located at the edge of the nature reserve and you will see that many walking and cycle routes start from the visitors’ centre of the dunes of Schoorl. In the shop of the visitors’ centre you can find products that you can use on your walk or cycle tour such as maps, binoculars and much more. Besides that, you can also find souvenirs, books, unique local products and plenty of other things. You can also find Brasserie Ijgenweis in this centre where you can have a nice lunch, that has been created with the use of organic local products while enjoying the view of the dunes. The visitors’ centre and Brasserie Ijgenweis is open daily from 10:00- 17:00. Whether it’s a beautiful summer day or if there’s a strong autumn wind, visiting the Schoorlse duinen (dunes of Schoorl) is an experience. When there is a beautiful summer day, you can opt for the longer walking route in this nature reserve of Schoorl. During an autumn day, you might want to head straight in the direction of the beach and enjoy the harsh wind and set your thoughts away. In the whole area of the dunes of Schoorl, The Netherlands, you can find 11 walking routes, routes for the horses and a few mountain bike routes. The walking routes are between 4 km – 23 km. You can walk in sneakers or something like that, but when I walk anything above 10 km I prefer to use my walking boots. You’d still want comfortable and strong boots. You will find more than 60 km of walking paths in the dunes of Schoorl that will take you to the highest dunes, the oldest forests or open dunes. If you have the time, go to the nature reserve of De Kerf which is an open spot in the dunes where the water of the Noordzee (North Sea) can enter the valley. Thanks to the salt seawater you can find special flora and fauna here. While walking through the reserve you will find anything from heather to perennial trees and from pine trees to beautiful fens. The area of the dunes of Schoorl is a true treat to walk through and a great nature reserve for a day trip from Alkmaar or Amsterdam. Mountain biking in the dunes of Schoorl is not for the faint-hearted. It is incredibly tough. So, if you’re thinking of a relaxing mountain biking trip, you can forget it. The sand, the small paths, the corners, and the hills make everything so much harder than you thought it would be. There are several drops that are actually kind of dangerous for beginners, especially one of the last drops. You will see signs, but as a beginner, it’s best to do a small route of the big route instead of cycling it completely. If you’re looking for adventurous things to do and activities in The Netherlands, mountain biking through Schoorl is one of them. The big route is 15 km and you will pass through high dunes, forests, and heather. The route is very tough, but luckily you can start and interrupt the route at many different places. You can also shorten the route by going into the cycle path, please remember that when you do this you need to be responsible as there are normal cyclists on the paths. When you shorten the mountain bike route of the dunes of Schoorl via the cycle path, it is suitable for a beginner. There are several places where you can rent a mountain bike in Schoorl, but you’d have to bring your own clothing and shoes. Remember that some places only accept a cash payment! You can rent mountain bikes at several places. These following places are a few of the options. Click here. Click here for another option. Click here for the other option. If mountain biking is a bit too much for you and you want to see more of the area, rent a bike to cycle through the area of Schoorl. Go to the information centre of the dunes of Schoorl and get information about the cycling routes you can cycle through and in the surroundings of Schoorl. There are cycling routes that are longer, such as 30 km. Or there are shorter options. You can also get information about the cycling routes at the shops where you’re renting your bicycle, they have all the information you need as well. You can rent bicycles at several places in Schoorl. This is one of them. If you’re looking for a good restaurant in Schoorl, restaurant ‘t Trefpunt is the best place to eat in Schoorl. The owner is very kind and so is the staff. The atmosphere is very welcoming and feels very homey and familiar. If you’re looking on where to eat lunch or dinner in Schoorl, go to ‘t Trefpunt. ‘t Trefpunt is opened 7 days a week from 11:00 – 22:00. Like I said before, I’d prefer to spend a full day relaxing and enjoying the nature of the dunes of Schoorl. Here you can find some of my recommendations for accommodation on where to stay in Schoorl. Disclaimer: Some of these links are affiliate links. This means that I get a percentage, if you make a booking. However, this doesn’t mean the price will increase on your end. The price stays the same. Koetshuis 34, have a look at the current prices here. B&B Het Oude Atelier, have a look at the current prices here. Holiday Home Annas Place, have a look at the current prices here. l’Amour Pur, have a look at the current prices here. Robs Cottage, have a look at the current prices here. Public transport: Take bus 151 from train station Alkmaar to Schoorl. Get out at Idenslaan. Walk from the Idenslaan to the Oorspongweg 1, where the visitors’ centre of the dunes of Schoorl is located. Car: Set the navigation address at Heereweg 62, Schoorl. The road opposite of this one is where the visitors’ centre of the dunes of Schoorl is located. Park on P2. You’d have to pay for the parking, but the fees will be used to support the dunes of Schoorl so you’re able to visit this nature reserve in the future again. A day ticket for P2 is 12 euros. The price is 1,90 euros an hour. Public transport: Take the train from Amsterdam Centraal in the direction of Den Helder, Schagen or Alkmaar. Get out at Alkmaar train station. From here take bus 151 from the train station Alkmaar to Schoorl. Get out at Idenslaan. Walk from the Idenslaan to the Oorspongweg 1, where the visitors’ centre of the dunes of Schoorl is located. 1. At most walking routes you CANNOT take your dog with you. At the few routes that you are able to, it needs to be on the leash. The Schoorlse duinen is a natural reserve for a reason, please respect that. 2. Don’t smoke in the nature reserve. You can wait a few hours. If not, then you shouldn’t be walking in the reserve if you’re smoking is that much needed. Trash from the leftovers of cigarettes in a nature reserve is not necessary to keep the ecosystem healthy. 3. Keep your trash with you! If you’re hungry, that’s possible. But don’t leave your trash anywhere else than a garbage can or your backpack. 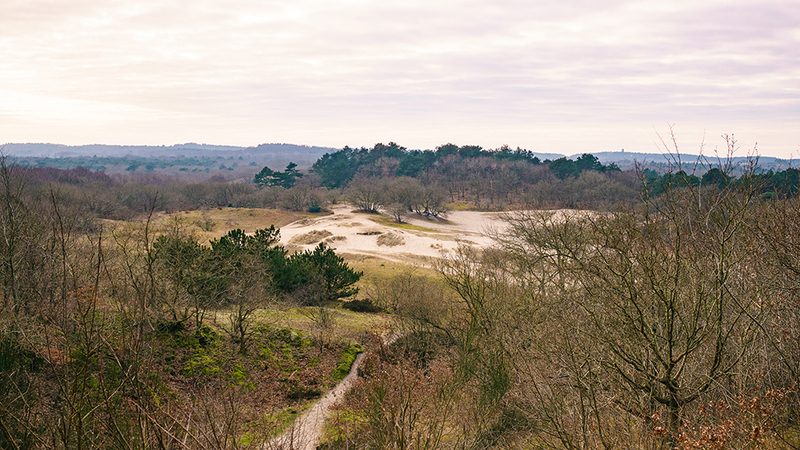 Have you ever heard of the nature reserve of the dunes of Schoorl, The Netherlands? I hope you will use this information so you can stay in this area to recharge and explore this beautiful nature reserve in Noord-Holland. Visiting the dunes of Schoorl can be used as an off the beaten path and perfect day trip from Hoorn, Amsterdam or Alkmaar, however, the best thing is to spend the night in this area, so you don’t need to rush. Is there any information that is missing according to you? Discover more of my articles here. Share this post! !